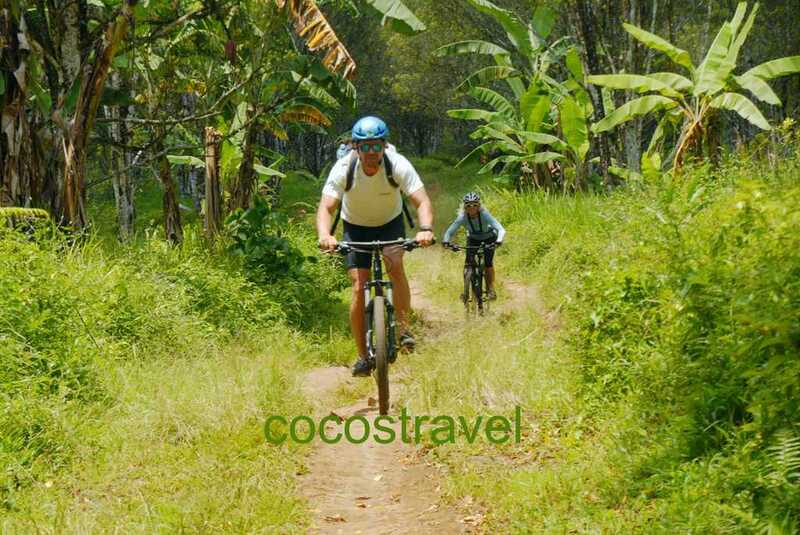 We specialize in long cycling tours 5-16 days during the dry season on the different islands, but for Bali visitors we have with and without bike also day adventure tours all year through. 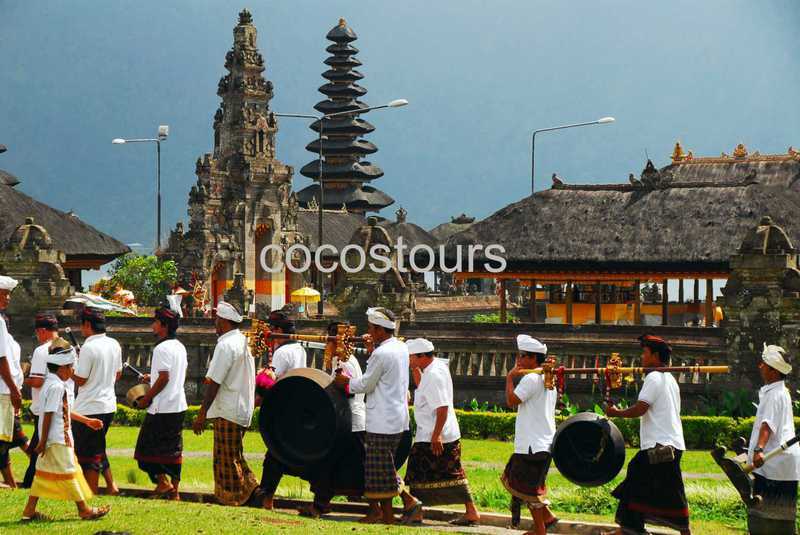 Bali, 140 km long and 80 km wide island is fringed by snow white and jet black beaches. 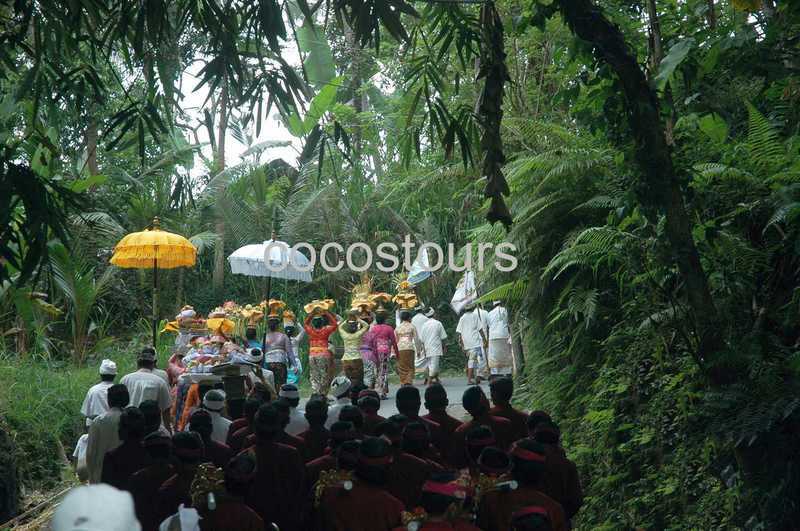 Here we cycle on paths through elaborately built rice terraces and participate in temple festivals, dances or processions of a religion, which can be found as a unique brand of Hinduism in such intensity only in Bali. 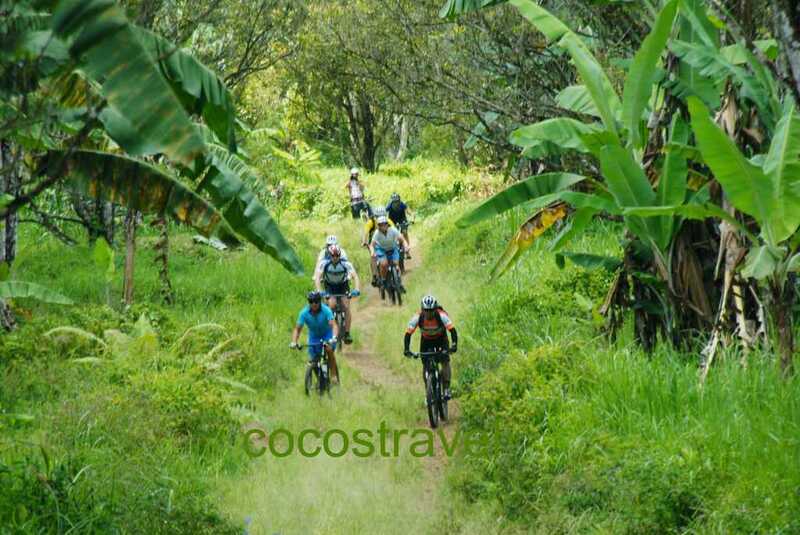 Java, the western neighbor island is still almost completely by tourism, we bike through fragrant coffee plantations, penetrate tropical forests with wild monkeys and giant hornbills birds. 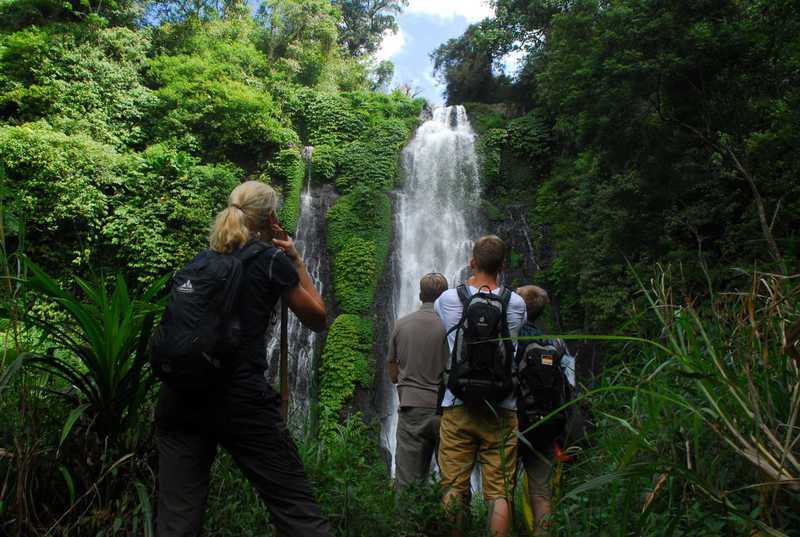 The highlights include a visit to a sulfur mine in the crater of a volcano, flowy trails through magical rainforests and a fishing village with beautiful beach, where time seems to have stopped. Lombok, the eastern smaller "sister" of the island of Bali, is unspoiled and has next to snow-white beaches, a colorful underwater world has to offer. 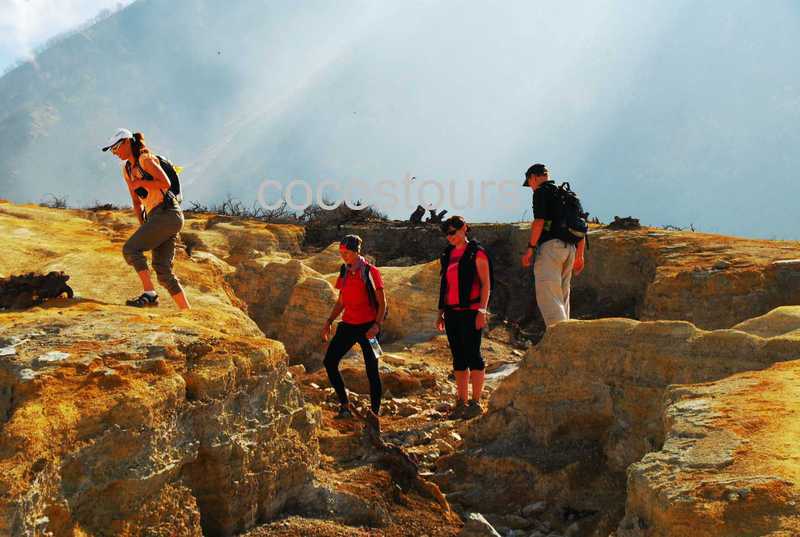 Kilometres of Cocosplantagen line the quiet streets around the active volcano Rinjani, the fashion the landscape of this authentic island. 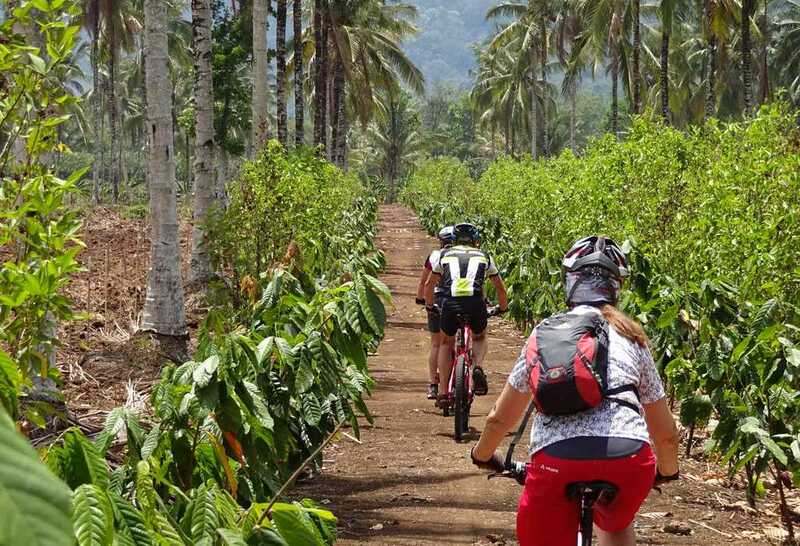 The Gili Islands with the snow-white Bounty beaches are definitely with the highlights of a Lomboktour. which we have made in 2008 for the first time to the destination of our dreams. 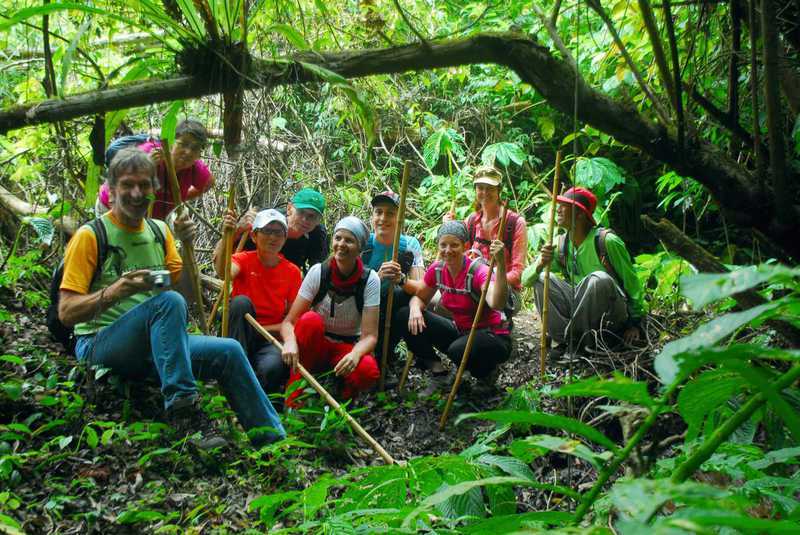 We take on the course around the unique witnesses of the Stone Age, the Komodo dragons to observe in the wild. On the way we snorkelling in the coral gardens around the island Moyo and swim in the crystal clear waters of the natural pools. Sumatra is the sixth largest island in the world. 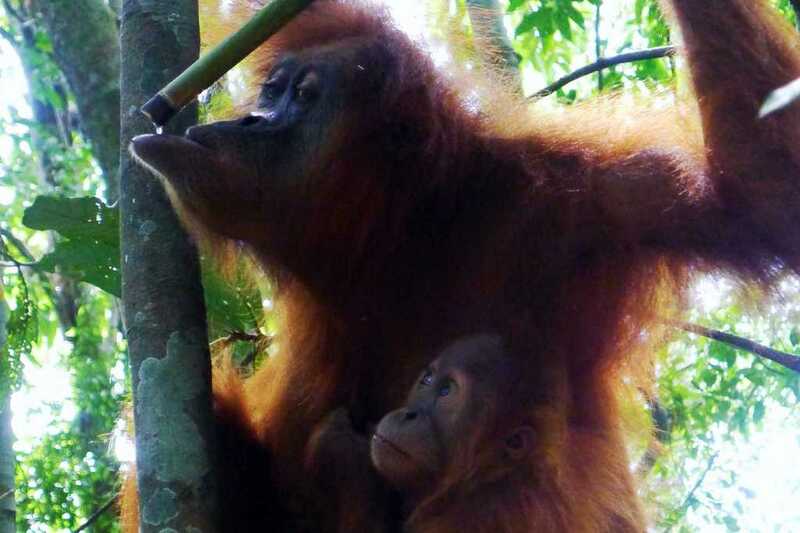 On it there is still extensive rain forests where orangutans are native. On the magical island of Samosir in Lake Toba, the largest crater on earth, the locals still live in traditional Batak houses and maintain their culture. 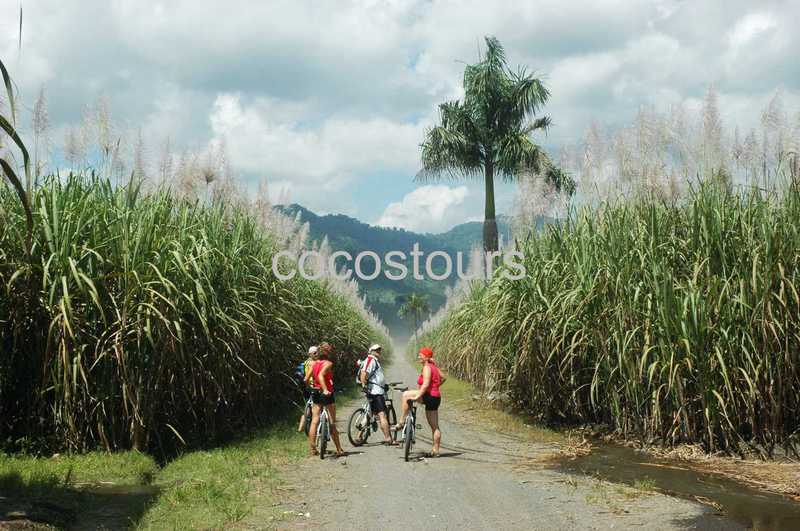 One of the highlights of our Sumatra Bike Adventure tour includes, but is a trek to the 2212m high volcano Sibayak, from here we can enjoy the view over the Karo Highland. 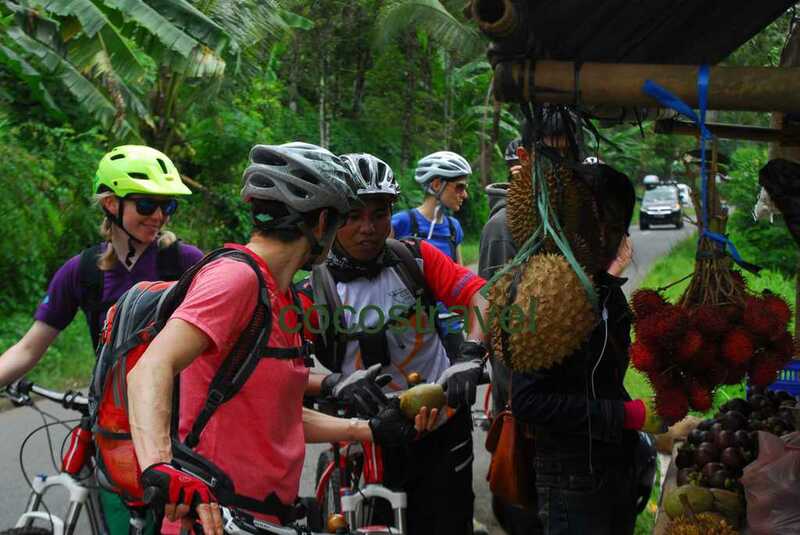 A new bike tour takes us from 2018 to Sulawesi. 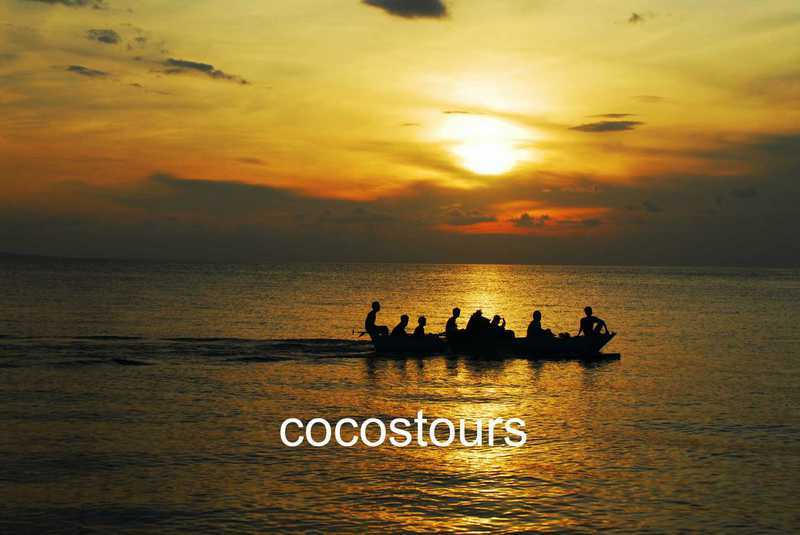 This island has great deal to offer, however, is from a tourism perspective rather undeveloped. 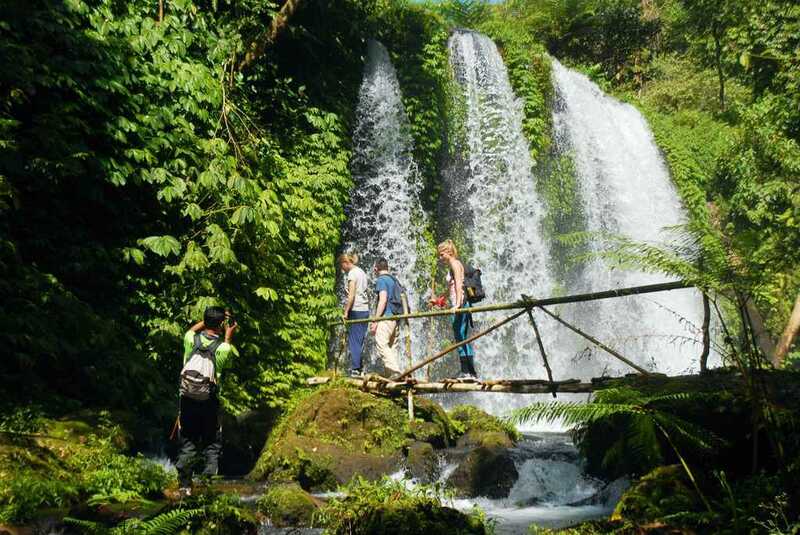 Therefore we look forward to those unexplored areas such as the scenic Lake Tondano and volcanoes Lokon and Mahawu in wild Minahasa Highlands. 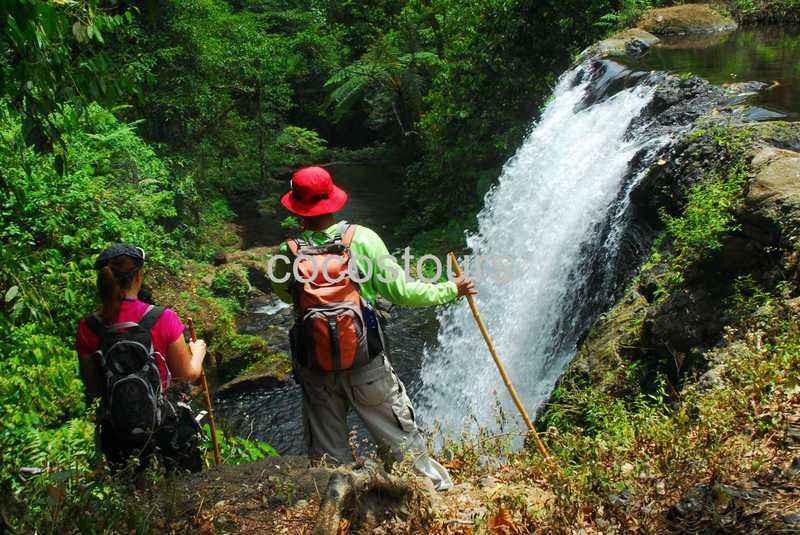 In Tangkoko nature reserve there are both tarsiers still the black Schopfmakaken, the Celebres couscous and helmet hornbills. 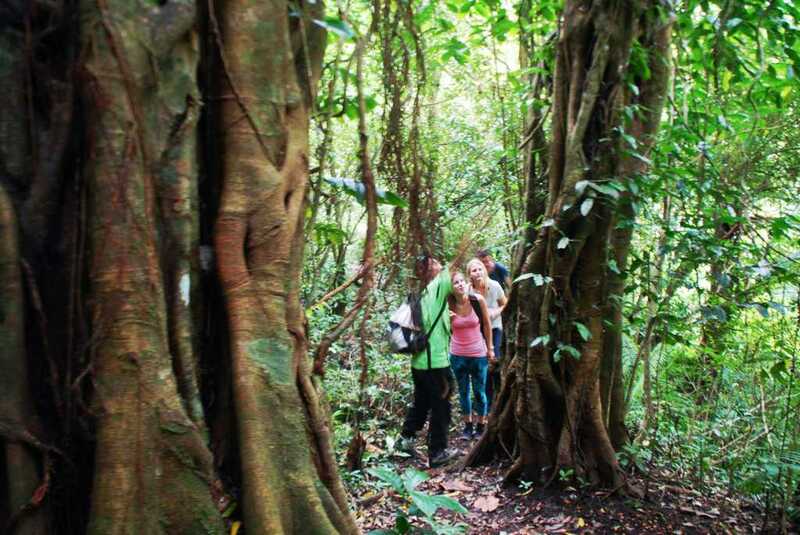 For nature lovers North Sulawesi is definitely a highlight. 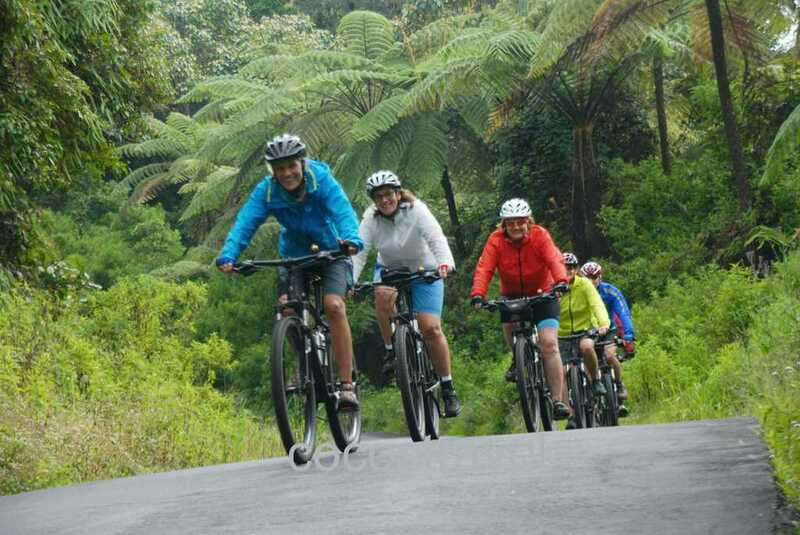 Our new 27.5" rental bikes with Shimano-Deore equipment, Disc Brake and Suntour suspension fork's on all our tours.